First off: apologies that there was no review of 6×07 ‘Blind Love’ (it turns out you can’t review TV and participate in curling bonspiels!) Short recap: I totally loved the episode, especially seeing the core cast spend so much time together and let loose with a lot of wackiness. 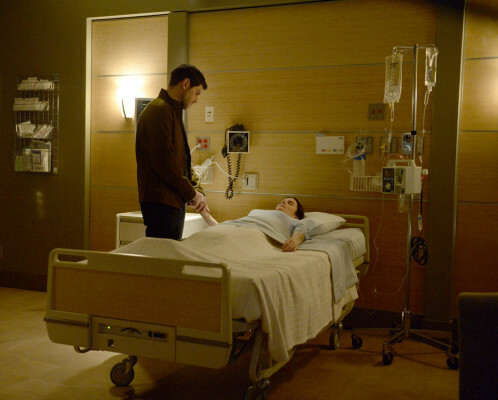 Favourite moment: Giuntoli’s full method “Nooooooo!” when Rosalee abandons Nick in the hotel hallway. 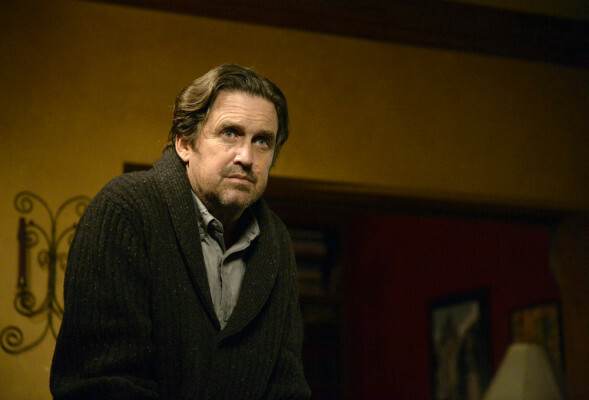 Wesen of the Week: I’ll confess that as we head into Grimm‘s final episodes, I’m increasingly uncertain why the writers stick with the case of the week format. It may have made sense if the show weren’t in its final season, but at this point there is a core contingent of fans watching to see where our favourites will end up when things come to a close. In contrast, the heavy amount of time dedicated to Geoffrey Blake’s Dr. Victor Shelley (subtle) and his monstrous creature just feels like plot filler. While it is nice to see Hank (Russell Hornsby) and Wu (Reggie Lee) take the lead on a case for a change, without Nick (David Giuntoli) around or a more substantial connection to the ongoing mythology of the series, it’s hard to care too much. The fact that Shelley’s son is a non-entity doesn’t help; his “revenge” plot doesn’t land because we have no idea who this character or the scientists truly are. As a result, the violent resolution doesn’t carry any emotional heft. Hell there isn’t even a thinly veiled metaphor or a thematic link to what else is happening on the show. This Frankenstein case simply exists. With only five episodes left, I want more. Eviette and the Stick: Alas, the tantalizing promise of something significant happening with Eviette (Bitsie Tulloch) that was hinted at in ‘Blind Love’ turns out to be repeat. After removing herself from Adalind (an unseen Claire Coffee) and Nick’s house, Eviette’s second visit with the mysterious black skull in the mirror is more violent. There’s an implicit suggestion that whatever event is forecast in Diana’s (Hannah R. Lloyd) constellations are tied to the “arrival” of this dark skull, but at this point, it is still just conjecture. Instead of momentum by revealing something new about this new threat, ‘The Sons Also Rises’ stalls out by reminiscing on Nick and Juliette’s relationship*. The inclusion of egregious – and unnecessary – flashbacks to earlier in the episode clearly suggests that this episode’s run time needed some padding. *Caveat: The flashback montage is entertaining to see how much Juliette has been through in the last few years. Hallucinatory Visions: Renard (Sasha Roiz) is seemingly done seeing Meisner now, but he’s catching up to the core cast in regards to the forthcoming apocalypse. A quick call to new character Dasha Karpushin (Alla Korot) puts him on the path to deciphering the drawings, though again, there’s really not much new here. I’ve said this a few times already this season, but the writers need to hit the gas; like Eviette says in the episode’s concluding moments, we’re running out of time. Baby Watch: In one of the few comedic moments of the episode, Monroe (Silas Weir Mitchell) dreams that Rosalee (Bree Turner) unexpectedly comes due over night and goes into labour. The first time father freak-out is a pretty tired plot device at this point, but Monroe’s exasperation when his wife delivers a never-ending litter is a nice Grimm twist. It would have been nice if Nick could have accidentally said Juliette’s name without Hank (aka the writers) commenting on it to ensure that we caught the slip up. We get it, we’re not stupid. Trubel Watch: Still no Trubel. Seriously writers, what is wrong with you?! That’s it for this week. What did you think of the episode? Do you agree that Grimm needs to stop the cases of the week and just double down on the upcoming apocalypse? Do you want Nick and Eviette to get together? Should Renard get pulled in to help stop whatever is coming? Sound off below.